The sad death of Gene Wilder earlier this year saw not only an outpouring of tributes but a re-examination of his work. The cult status of Willy Wonka and the Chocolate Factory, and Wilder's performance therein, has swelled over the the last 45 years to the point where the film has become a lynchpin among classic children's films, like Mary Poppins before it. 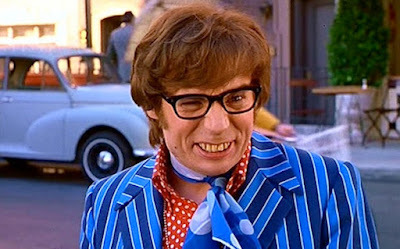 For some people, Wilder will always be Willy Wonka, and no-one could ever hope to equal him, let along exceed him. 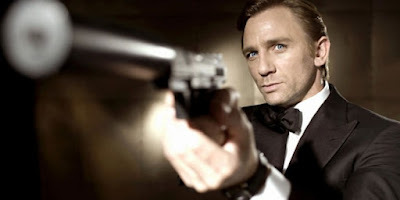 In the face of such a popular performance, not to mention the other memorable aspects of Mel Stuart's film, you wouldn't think that any remake would have stood a chance. Tim Burton's only previous attempt at a remake - Planet of the Apes - had tarnished his reputation badly, and while he had redeemed himself with Big Fish, there were still big question marks over his treatment of beloved source materials. 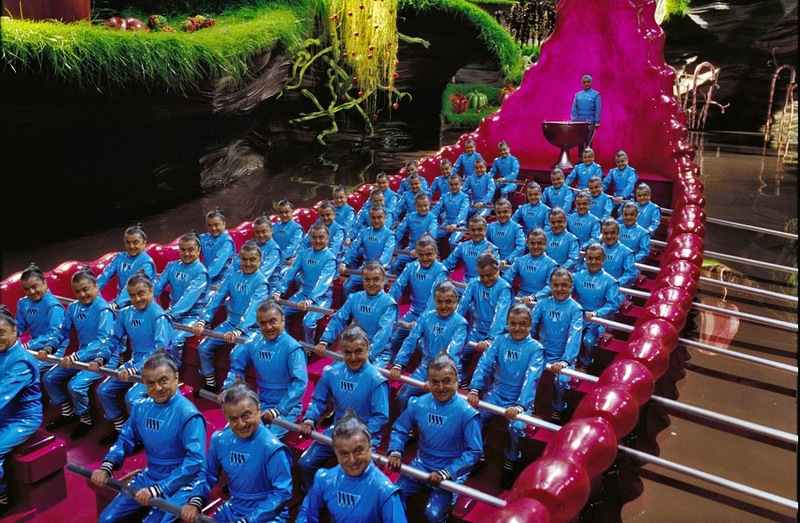 Charlie and the Chocolate Factory (Charlie hereafter) is now 11 years old, and like its predecessor it may take another few decades for audiences to properly appreciate its qualities. 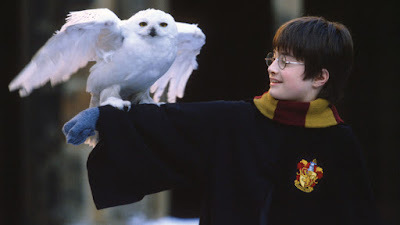 But even this far out, it is a great adaptation which, if anything, is more faithful to the book and closer to the spirit of what Roald Dahl wanted to get across. Like Burton's Batman, Charlie took a long time to make it to the screen. 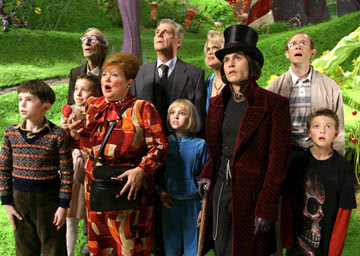 Dahl had disowned the original film due to the changes made to his screenplay, and the producers' refusal to cast the late Spike Milligan as Willy Wonka. In light of this, Dahl refused to release the rights to the sequel, Charlie and the Great Glass Elevator, and after his death in 1990 his estate became increasingly guarded about adaptations of his work. Out of Sight screenwriter Scott Frank and future director of The Hunger Games Gary Ross came close to getting the green light in February 2000, but both left the project 18 months and several rewrites later. 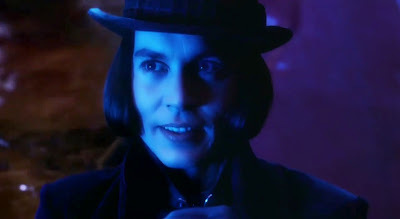 Martin Scorsese was fleetingly tipped to take over before he chose to make The Aviator, and there was even talk of Ace Ventura: Pet Detective director Tom Shadyac taking the reins with Jim Carrey as Willy Wonka - a prospect thankfully vetoed by the Dahl estate. Burton finally got the job in 2003, bringing with him Big Fish screenwriter John August; Dahl's widow Felicity had been impressed by Burton's work as a producer on Henry Selick's version of James and the Giant Peach, and the pair bonded over their mutual dislike for the original adaptation. The first thing that Charlie gets right is the way that it looks. 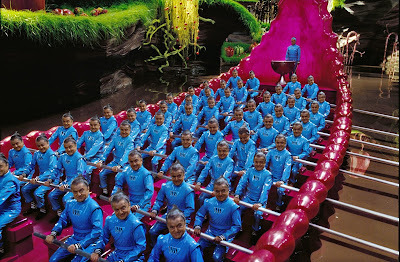 Despite having a decent colour palette, Stuart's film looks for all the world like a TV movie: with the exception of the famously terrifying tunnel sequence - the only truly great scene in the film - every scene feels small and hemmed in, as though the "pure imagination" could only be seen from a certain angle. 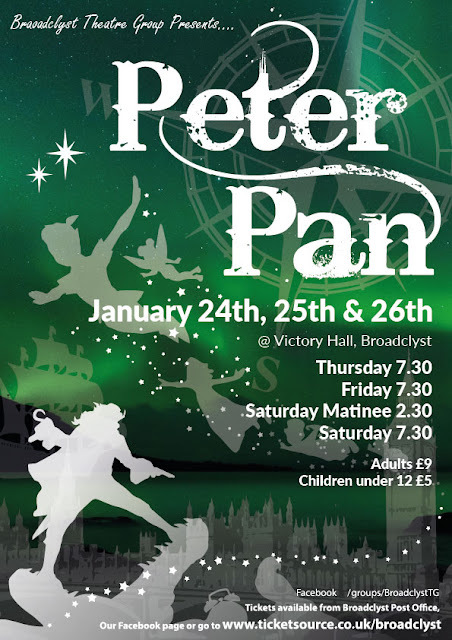 From the outset, with a typically elaborate opening credit sequence, you feel like you're in an extraordinarily creative and yet gruesome world, with magic lurking in even the tiniest item on show. There's still an intimacy to it, thanks to both the performers and Danny Elfman's score, but there's much more of a wow factor (or yuk factor) to both the set-pieces and the journeys between them. Much like James, Charlie wrestles with the need to adapt a very British story in a way that American audiences would understand. 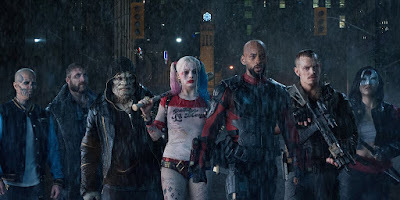 In this respect at least, Burton deserves credit for not straying too far from the source; while Selick's creative choices on James did work well, some viewers weren't all that happy with the mechanical shark, the pirate crew or not seeing the terrifying Cloudmen from book. 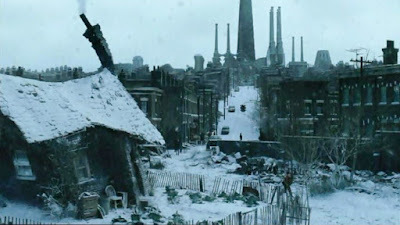 Unlike a lot of American directors, Burton resists making the British scenes unbelievably twee and touristy; by rooting the look of his film in the fantastical (for instance, siting a tumbledown thatched cottage right near a towering factory), the project retains an international flavour which compliments the characterisation and makes its themes easier to translate. 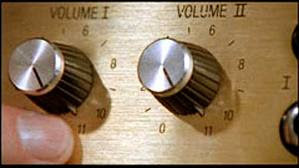 Charlie nails both the themes and spirit of the original story in a way that the previous version simply didn't manage. The book is, at its heart, a warning about materialistic excess and greed, using the Western world's slavering desire to consume chocolate as a cautionary tale of how modern society makes us lose sight of the most important things in life. Grandpa George's illuminating deconstruction of money is just as effective in this regard as the montages of the various searches for the golden tickets. 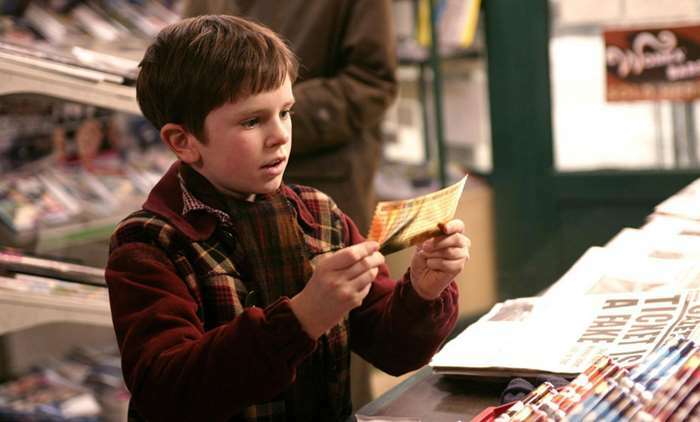 Burton brilliantly contrasts the soulness, empty actions by which the other children find their tickets (ripping bars off the shelves, employing factory workers, hacking the delivery system or just eating yourself sick) with the special, personal joy experienced by Charlie. 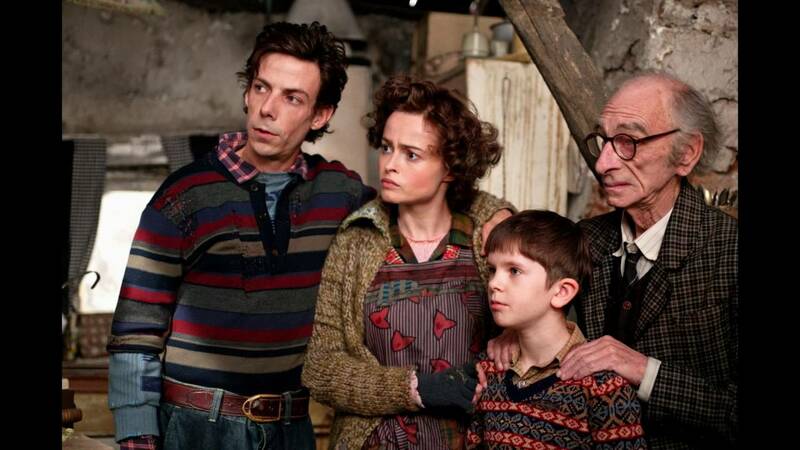 The film rises above mere sentimentality and captures that childlike sense of ecstasy so very well. 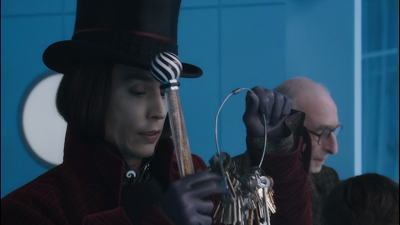 This brings us to one of Burton's more controversial decisions, namely the backstory invoving Willy Wonka's father. Making him a dentist is a natural choice, and Christopher Lee is as good here as he was in his all-too-brief role in Sleepy Hollow. But it does pivot back to James, and the debate about fidelity to the book as a means of judging the film's success. 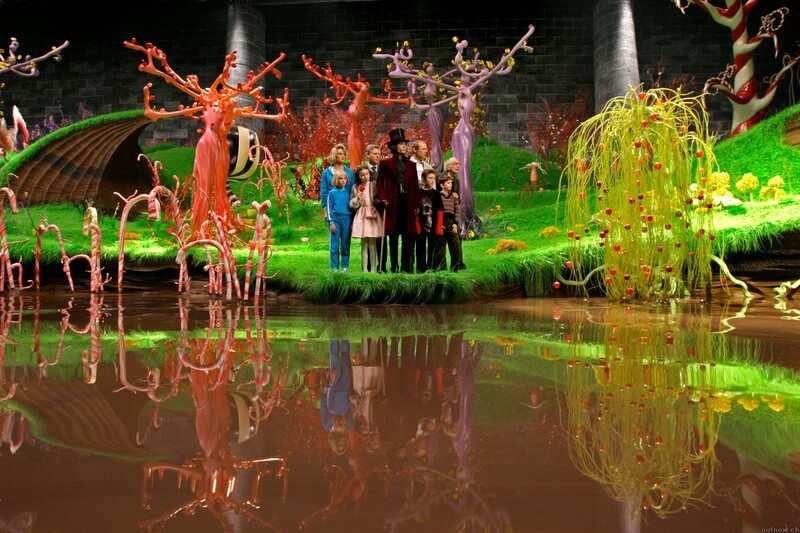 Dahl's main complaint about the original was that it focussed too much on Wonka and too little on Charlie. The remake does better, but it can't help pivoting back to Wonka in the later stages as the unfinished business with his father is resolved. Notwithstanding the obvious fact that being faithful to the source is no guarantee of quality (cf. the first two Harry Potter films), the introduction of Wonka's backstory actually adds to the character. Wonka in both the books is an elusive figure, with Charlie being the only other person able to get onto his wavelight; he doesn't deliberately withhold information or lie to the other protagonists, but you always sense that there's more going on in his head than he's letting on. In other hands the backstory chosen by August would seem pat and perfunctory, but Burton plays it very carefully to illuminate one of Wonka's main contradictions: he is simultaneously a rebellious free spirit, who hates rules and responsibilities, and someone who is very guarded, serious and principled on matters of the heart - including his family, whether biological or, in the case of Charlie, adopted. This combination of guardedness and wacky creativity is captured beautifully in Johnny Depp's performance. Comparisons with Michael Jackson are largely superficial, with critics of the time focussing too much on the make-up and not enough on the demons lurking beneath the childlike smile and giggle. 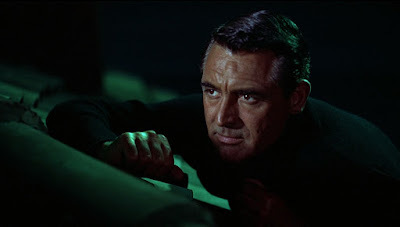 As Burton observed, the character is much closer to Howard Hughes (making Scorsese's involvement in the project rather ironic). Beyond the skintight gloves and fear of human contact, Wonka reflects Hughes' obsession with his work, his consternation over the tiniest details, the variety of his talents and his paralysing fear of death and ageing. The scene with the grey hair is beautifully played by Depp as both a wry dig at modern psychiatry and a genuine moment of existential terror. Depp's performance is also balanced out nicely by the rest of the ensemble. 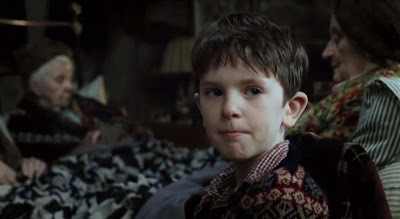 Freddie Highmore may be more overtly fresh-faced than his 1971 counterpart Peter Ostrum, but he resists playing him simply as a goody-two-shoes; his more emotional moments don't come across as mawkish, and he enjoys a strong bond with Depp (with whom he previously worked on Finding Neverland). Noah Taylor and Helena Bonham-Carter are a good fit for Charlie's parents, and David Kelly (best known for his work on Fawlty Towers) is a standout as Grandpa Joe. 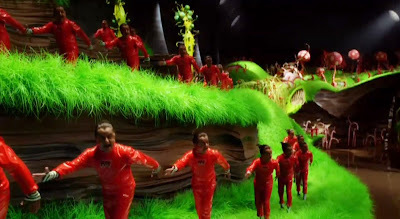 Credit should also go to the underrated Missi Pyle, who makes Violet's mother more interesting than she is in the book, and the endlessly duplicated (and eternally patient) Deep Roy, who plays every last one of the Oompa-Loompas. The only fly in the chocolate with Charlie is its music - or more specifically, its songs. They may replicate the lyrics from Dahl's book, but the sound mixing is atrocious: even after several watches to pick up all the misheard words, the mix feels needlessly crowded and chaotic. Burton doesn't have a tin ear for music - as he would subsequently prove with Sweeney Todd: The Demon Barber of Fleet Street - but he is surprisingly awkward and clueless about how to integrate these moments into the plot. Likewise the sequence outside Wonka's factory featuring the melting puppets is either a failed nonsequitur or just a waste of time; it has no reason to be there, serves no purpose in the plot, and robs Depp of the distinctive entrance he deserves. In spite of its musical stumbles, Charlie and the Chocolate Factory is a great adaptation which is both more faithful to the original story and more completely rewarding than the Mel Stuart version. Burton uses the familiar territory to his advantage, giving Dahl's tale a timeless quality and registers emotional depth where others would have merely settled for sentimentality. 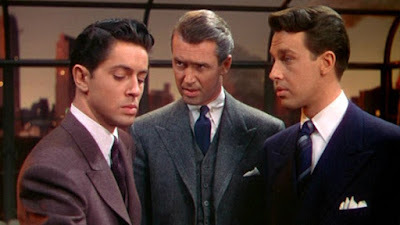 It may never win over fans of the Wilder version - including Wilder himself - but it remains a compelling adaptation with warmth and subtlety to spare.